Q: Why are you creating a radio show, when your novel still isn’t done? This question, I understand. I would say the same thing to parents of a new baby if they went out and got a puppy! So, for those who are wondering, here is my answer. If you read my last blog post, where I quoted Holly Lisle, you’ll remember the questions she told us to ask ourselves, when writing. Question #1 was, “What are you writing?” To such a question, I think most writers should actually have two answers. What they are writing, and what they are NOT writing. For example, my novel is titled The Ghost Lords, and I am NOT writing about ghosts. Sure, they are in there, and they are important to the story…but what I’m really writing about is positive change and peaceful revolution. This summer, when I was at Centrum for their annual writer’s retreat, I received many pieces of advice…one of which matched up with something that I learned during my Artist Trust EDGE Professional Development Program. When a character does something, that action needs to have at least three reasons for existing. For example, if a character says something that develops their personality, moves the plot along, and generates tension, then you can keep it. BUT, if the statement ONLY develops personality, then lose it. It’s not strong enough. It doesn’t do enough. The same can be said of actions we take in our professional lives. If I take on a project that ONLY earns me money, but it doesn’t forward any of my goals in life…then, does it do enough? No. I would rather find a job that furthers my goals in life, earns me money, helps to develop my local community, and influences my homeschool children in a way that will increase their understanding of the world. Boom. That’s worth doing! Prose, Poetry & Purpose is such a project. Through this radio show, I hope to support Voice of Vashon with my effort and my skills. Through PP&P, I hope to increase the reach of an up and coming new musician, and after her, perhaps others. 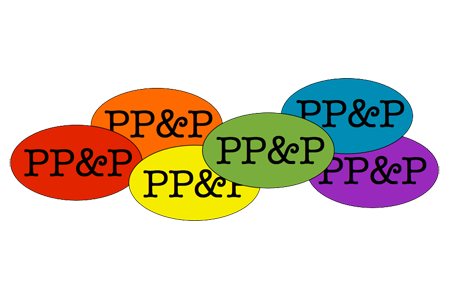 Through PP&P, my guest authors have an opportunity to express their deeper sentiments and go places where many author interviews do not go. This benefits both my guest authors and my listeners, many of whom care about the issues being presented. Finally, Prose, Poetry & Purpose expands my audience, my connections, and my reach…so that, when I dive into the publishing end of writing a novel, I will have a better chance at success. Question: And, what is success? To me? Answer: If, through my actions, people of the world begin to believe that they can make a difference…and if they follow that thought up with concrete actions of any and all types…then, I will leave this world a better place than I found it. But, a novel which is never read cannot pass along this message. So, my goal is to write a novel which explodes into the world, generating a tidal wave of positive action through my readers! Now, the other answer: I don’t want a different house, different clothes, or a different car…I just want to make a positive difference in the world. In a nutshell, I want hope. PreviousOne more about Holly Lisle! NextThe Hunt for Actopian Fiction! !